Have you been managing your wealth the Islamic Way? How well do you know about Wasiat & Islamic Estate Planning? 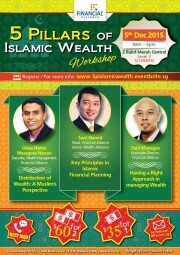 We invite you to our 5 pillars of Islamic Wealth Workshop on 5 December at 2 Bukit Merah Central. 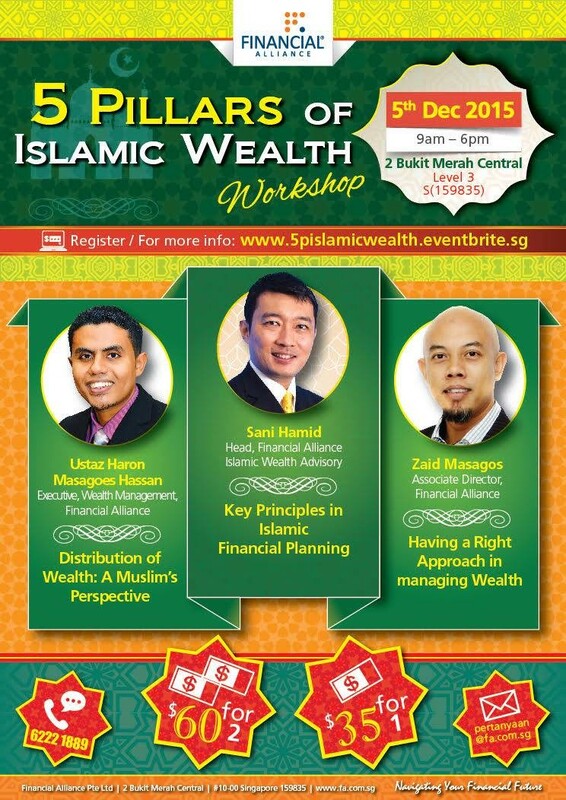 This workshop is leans towards applied-based learning, where participants are given more opportunity to learn in-depth about managing their wealth the Islamic way. We are looking forward to see you on December 5!